*NOTE* I have repurposed this review from a now defunct website. If it looks familiar, you're not crazy. I don't buy a lot of third party accessories for my gaming systems. Though cheaper, it's usually a better investment to go with the first party stuff because it's more likely to last. Regardless, there were a lot of choices back when controllers were wired. Nowadays, Microsoft has a monopoly on wireless controllers and Sony doesn't allow for Bluetooth compatible ones, meaning you need a USB dongle. Nintendo doesn't give a crap, which is why I've only bought third party stuff for Nintendo systems this generation. What I buy, mostly, are controllers. I had a few PS2, Xbox, and GameCube controllers back in the day that weren't very solid. I haven't bought a third-party controller since. Well, until recently. Most terminals look like this. I just finished up Halo Anniversary and found out a little special something about the game's terminals. So before I review the game, I thought I'd write up a handy guide to finding the terminals in case you're stuck. I posted about this yesterday on the Google+ page, but I think it bears repeating: Teen Titans is returning to television! Well, sort of. 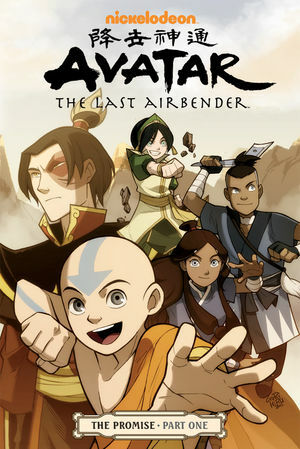 It'll be back as an animated short series to air during the Cartoon Network's new DC Nation block in 2012. It's in more or less the same style, with the same voice cast, but the characters are chibi. Unfortunately, the only footage I can find was uploaded to Facebook and I can't embed the video here. But you can check it out at this page. Who else is super excited? Of all the awesome Zelda tribute stuff I've seen for the series anniversary, I have to admit that 25YEARLEGEND is probably the best. Sponsored by OC Remix, the album contains arrangements by Indie game composers spanning the entire history of the Zelda series. It's awesome in that it's not what I was expecting at all. You should go grab yourself a copy and get to listening! 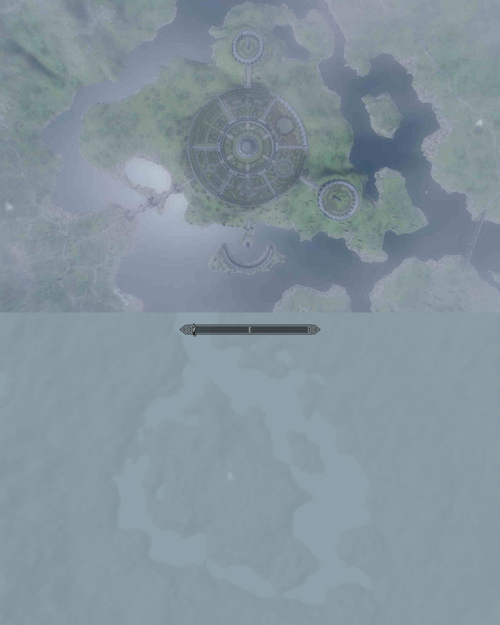 I imagine that if that lake started to dry up, you might get something like the Skyrim version. No, there's definitely a reason for the existence of these landmasses that related to the gameplay. 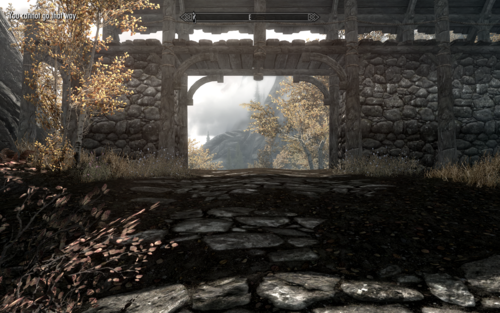 I mean, the path that leads to Morrowind is blocked by a wall, but that wall has an open walkway. Bethesda stated before that there would be less DLC for Skyrim, but that it would be more substantial. Perhaps a trip to Morrowind or the Imperial City is in order? Well, it's a fan series, of course, but it looks to be lovingly crafted. Basically, it'll end up being awesome like most fan series and unlike the stuff Hollywood craps out. The series is based on the short story "Dirt" by Tobias Buckell and will premier in January. What a time to relaunch, eh? Today is Halo's 10th birthday and to celebrate I've got a whole week of awesome Halo features culminating in the review of Halo Anniversary! Come to think of it, it's also the 10th anniversary of Xbox too. Lots of memories to relive. Stay tuned for awesomeness. Yes, that's right. After going through two websites I've decided that Installation 04 is my true home. So it's back in business! Expect an influx of content coming up, whether it's just me or a team of great people. In retrospect, I probably shouldn't have deleted the Facebook page. Oh, and there's going to be a bit of maintenance going on for the next week at least.